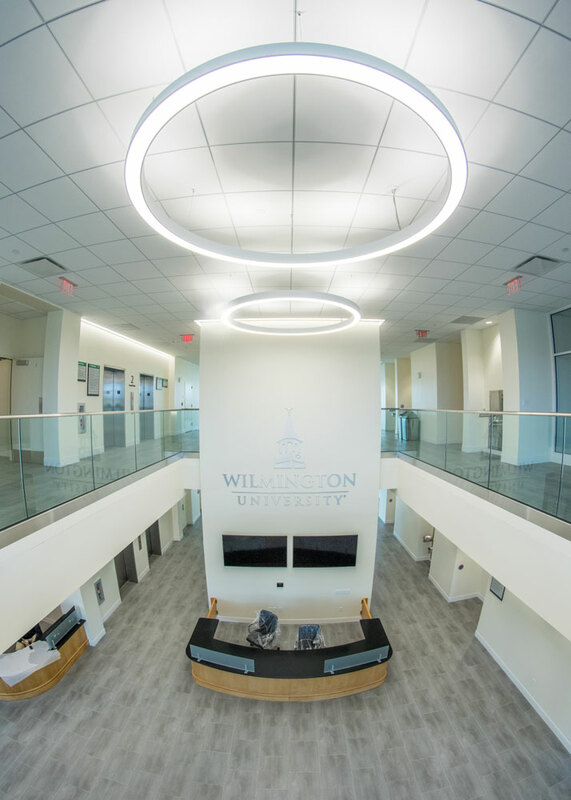 This beautiful new site opens access to 150+ affordable higher education programs, as well as WilmU-hosted events, to residents of Chester, Delaware, and Northern New Castle counties. State-of-the-art facilities are set in a pedestrian-friendly, naturalistic setting. The site houses classrooms, science and computer labs, offices, library, campus store, Student Success Center, café, offices and reception/event areas. WilmU Brandywine is open for classes. Stop in to tour the site, learn about academic programs, apply for admission, or ask about financial aid. Explore the academic programs available at WilmU Brandywine. Note: Classes will no longer be offered at our Silverside Road location as of January 2019.